Judith Reynolds Brown is a Bainbridge-based writer whose experiences living in different cultures have led to several books. 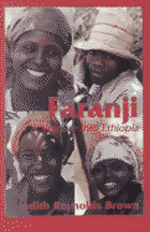 Brown’s book Faranji: A Venture into Ethiopia (1994) draws on the lessons she learned as a volunteer in Ethiopia. A Glove on My Heart: Encounters With the Mentally Ill (2000) is based on Brown’s volunteer work in a transitional residence for the mentally ill and the dignified individuals she came to meet there. Finally, two books are the result of Brown having lived in Turkey for an extended period of time. 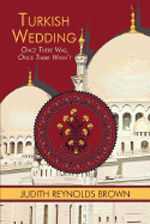 Her Turkish Wedding: Once There Was, Once There Wasn't (2008) is a novel about the relationship between an American woman and a Turkish man and the inter-cultural challenges they face. 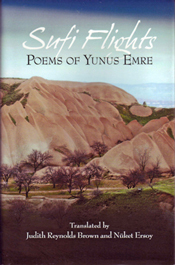 Brown also co-authored Sufi Flights: Poems of Yunus Emre (2010), a beautiful book of translated poems by the medieval Turkish poet and mystic. The book's release is timely in making Islamic thought and culture more accessible to readers in the West. As a former Turkish Minister of Culture says in the preface of Sufi Flights: "[Emre's] verse stressed the importance of human worth and views Islam not in terms of rigid formulas but in terms of freedom of conscience and a fundamental ethos..."